A 17-year-old boy was shot in the left hip and right leg in a crime that occurred in the 3700 block of West 62nd Street at about 4:40 p.m. Thursday, Sept. 20. The victim took himself to Holy Cross Hospital. No one is in custody. Police offered no details on the shooter. An 18-year-old man was shot during an argument with another person in the 3700 block of West 52nd Street at 4:39 p.m. Thursday, Sept. 20. The victim took himself to Holy Cross Hospital. He was later transferred to Mount Sinai Hospital, where he was listed in stable condition. Police did not provide a description of the shooter. No one is in custody. Want to work directly with Chicago Police to prevent crime in your neighborhood? If you live in Beats 822 or 824 (see map), come to Hernández Middle School, 3510 W. 55th St., at 7:00 p.m. Tuesday, October 2 and attend your monthly CAPS meeting. Hear updates on crime in your neighborhood and learn how you can work with neighbors and police to make the community safer and better for all. 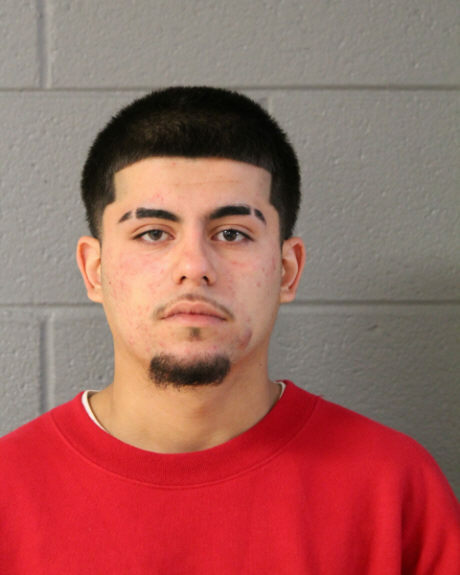 A 19-year-old West Elsdon man was charged with vehicular hijacking after he allegedly stole a 42-year-old South Side woman’s car in the 4600 block of West 61st Street at 12:50 p.m. Saturday, Sept. 22. Juan Pablo Macias, of the 5800 block of South Kildare, was arrested at 63rd and Kolin after the victim’s OnStar service tracked the vehicle for police. The victim reported that as she exited her vehicle, Macias approached her, pushed her to the ground and then sped away in her car. Police said that when they searched Macias, they found the victim’s bank card and cash. Her purse was not recovered, police added. 3:09 a.m. Wednesday, Sept. 19 in front of 5751 S. Archer. 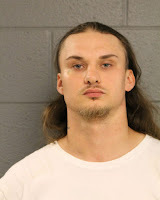 Kevin T. Webber, of the 5800 block of West 64th Place, allegedly stole an estimated $2,000 worth of meat from Tequila restaurant, 5728 S. Archer, over three nights—Sept. 11-13. The restaurant’s owner reported the crime to police at 11:35 a.m. Friday, Sept. 14. He said the burglar jumped a back fence and broke a lock on another fence to get at the meat—stored in coolers while the restaurant’s interior is being renovated. Webber was arrested by an officer who said he recognized Webber from video surveillance footage supplied to police by Tequila. There was no indication if the missing meat was returned. 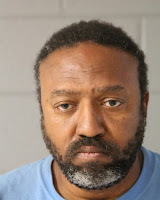 Webber also was arrested at 8:25 a.m. Sunday, Sept. 16 on the block where he lives. 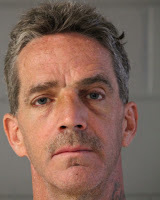 He was charged with criminal trespass to a residence. According to police, Webber entered a home on that block back on Aug. 11 and stole property. They offered no other information. A 37-year-old Bridgeport man working as a drover for the Domino’s Pizza at 54th and Harlem was robbed as he made a delivery near 45th and Lavergne. The victim told police that as he got out of his vehicle in front of 4440 S. Lavergne, a man walked up and said he was the customer. When the driver asked for identification to match the credit card used to pay for the pizzas, the man put his hand to his waistband, implying he had a weapon. Seeing two other men standing behind his vehicle, the driver surrendered the pizzas—valued at about $41. The three bandits were described only as black men. 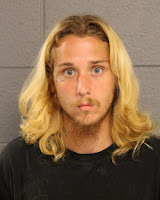 A 28-year-old Archer Heights man was charged with domestic battery after he was arrested in the 5100 block of South Archer at 2:47 p.m. Wednesday, Sept. 19. Bernard W. Trumbla, of the 5000 block of South Archer allegedly threw a cup of bleach at another person, hitting that person’s t-shirt. The victim had no visible injuries, police said, and refused medical care. According to public records, Trumbla has been arrested four times by CPD since 2014, on charges that included reckless conduct and possession of a controlled substance. A 26-year-old woman was reportedly beaten by her 27-year-old boyfriend as they sat in his car in the 5700 block of South Nottingham at 9:53 p.m. Saturday, Sept. 22. Police responding to a 911 call found that the man had fled the scene in his car. 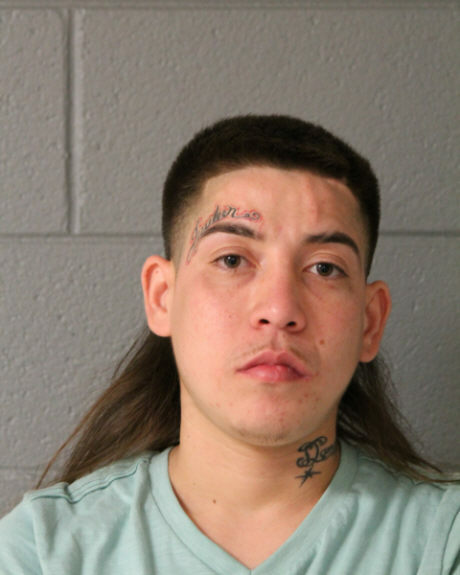 The woman told police that during an argument, her boyfriend slapped her, yanked on her hair and punched her in the face. The victim refused medical attention, police added. Both the victim and her boyfriend live in Normal, Ill., according to police. The suspect remains at large. A 56-year-old Indiana man was charged with criminal trespass to a vehicle after he was arrested at 6:32 a.m. Tuesday, Sept. 18 in front of 5404 S. Laramie. Mark Harris, of the 8900 block of White Oak in Munster, allegedly “entered the victim's vehicle without permission and attempted to flee the scene. [Harris] was apprehended without incident,” according to police, who refused to provide additional details. Burglars broke into a garage in the 4800 block of South Lawler and stole assorted power tools. They also entered a vehicle parked inside and stole a stereo system and a wallet that contained a debit card and about $100 cash. The crime was discovered by the victim, a 30-year-old man, at 5:40 a.m. Thursday, Sept. 20. Want to work directly with Chicago Police to prevent crime in your neighborhood? If you live in Beats 815 or 821 (see map above), come to St. Bruno School (south end, St. Joseph Room), 4839 S. Harding, at 7:00 p.m. Wednesday, October 3 and attend your monthly CAPS meeting. Hear updates on crime in your neighborhood and learn how you can work with neighbors and police to make the community safer and better for all. Two Gage Park men were charged with felony possession of a controlled substance during a traffic stop in front of 4741 S. Keeler at 3:01 a.m. Saturday, Sept. 15. 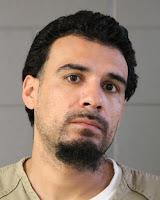 Manuel Guzman, 44, of the 5700 block of South Campbell, and Eric Flores, 23, of the 3000 block of West 53rd Place, were apprehended without incident. Want to work directly with Chicago Police to prevent crime in your neighborhood? If you live in Beat 834 (see map above), come to Bogan High School, 3939 W. 79th Street, at 7:00 p.m. Thursday, October 4 and attend your monthly CAPS meeting. Hear updates on crime in your neighborhood and learn how you can work with neighbors and police to make the community safer and better for all. Burglars entered a home in the 4700 block of South Springfield and stole a Bulova watch, a gold chain, a pearl earring and about $120 cash. The crime was discovered by the victim, a 93-year-old man, at about 2 p.m. Thursday, Sept. 20. The victim told police he was asleep while the crime occurred. 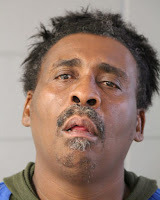 A 54-year-old man was charged with battery after he allegedly beat another man with a belt in the 4600 block of West 59th Street at 9:30 a.m. Friday, Sept. 14. According to public records, Gladney has been arrested nine times by CPD since 2016, on such charges as retail theft and aggravated assault. 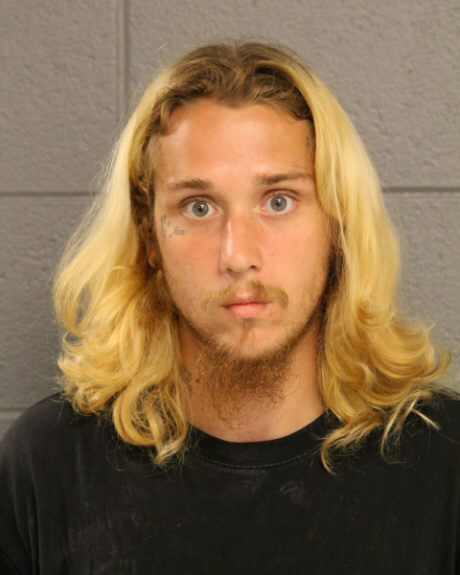 A 34-year-old Berwyn man was charged with burglary after he was arrested at Chicago Lawn (8th) District Police headquarters at 10 a.m. Wednesday, Sept. 19. 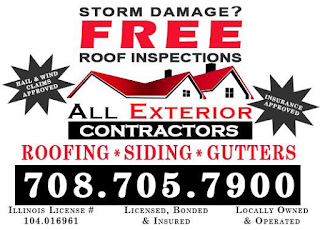 Police did not say when the burglary occurred or if the generator was returned to its owner. According to public records, Serrano has been arrested five times by CPD since 2014, on such charges as theft and criminal trespass to a vehicle. A 40-year-old West Lawn man was robbed as he sat in his car in the Acero schools campus at 47th and Kildare at 5:49 a.m. Tuesday, Sept. 18. 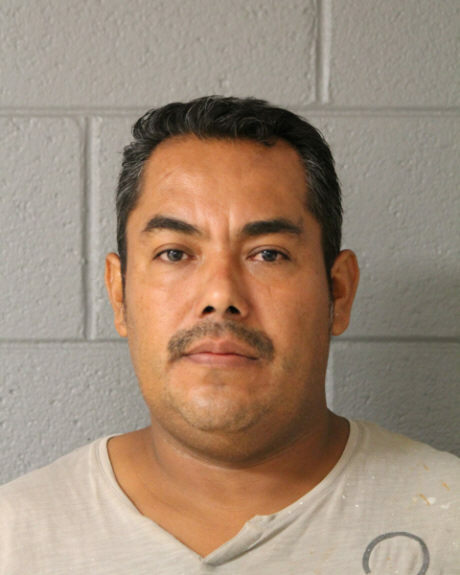 The victim, a school employee, told police that one man reached in the driver’s side window and held him down while another opened the passenger-side door and stole a radio, a set of keys and his Chicago Public Schools ID card. They then ran away south of 47th Street. They were described only as black men age 28-30. A 27-year-old Clearing man was charged with retail theft after he allegedly stole merchandise from Shop & Save Market, 5829 S. Archer, at 5:20 p.m. Monday, Sept. 17. According to public records, Bowen has been arrested nine times by CPD since 2014, on such charges as assault, reckless conduct, criminal trespass to vehicles, possession of a deadly weapon, possession of a controlled substance and theft.